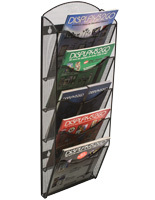 This Magazine Rack Features 11 Pockets! 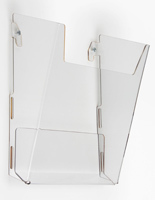 Single and Multiple Pocket Magazine Racks are for Sale Here! 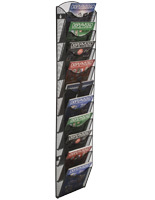 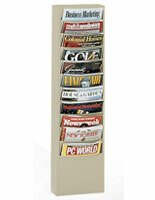 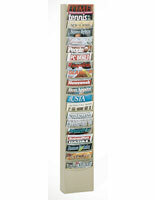 Eleven pocket wall mounted magazine rack features Con-Tur design that eliminates paper curl. 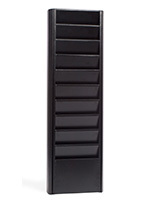 Constructed with prime steel and finished in powder coated baked enamel to ensure durability. 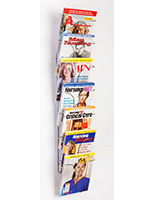 Each pocket can hold up to 150 sheets of paper. 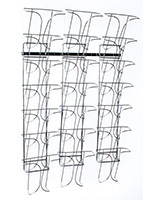 9.8" x 36.0" x 4.1"
8.8" x 8.5" x 0.75"